Streeton, Arthur. The purple noon’s transparent might, 1896. Oil on canvas, 123 cm x 123 cm. Melbourne, National Gallery of Victoria. Users “may copy, distribute, display, download, communicate or otherwise freely deal with the information, data, documents, pages and images on this website for your own personal use for the purposes of study or research… provided that you do not repurpose or alter the published material in any way“. Citation is required with “full and proper attribution“. e.g. Streeton, Arthur. The purple noon’s transparent might, 1896. Oil on canvas, 123 cm x 123 cm. Melbourne, National Gallery of Victoria. 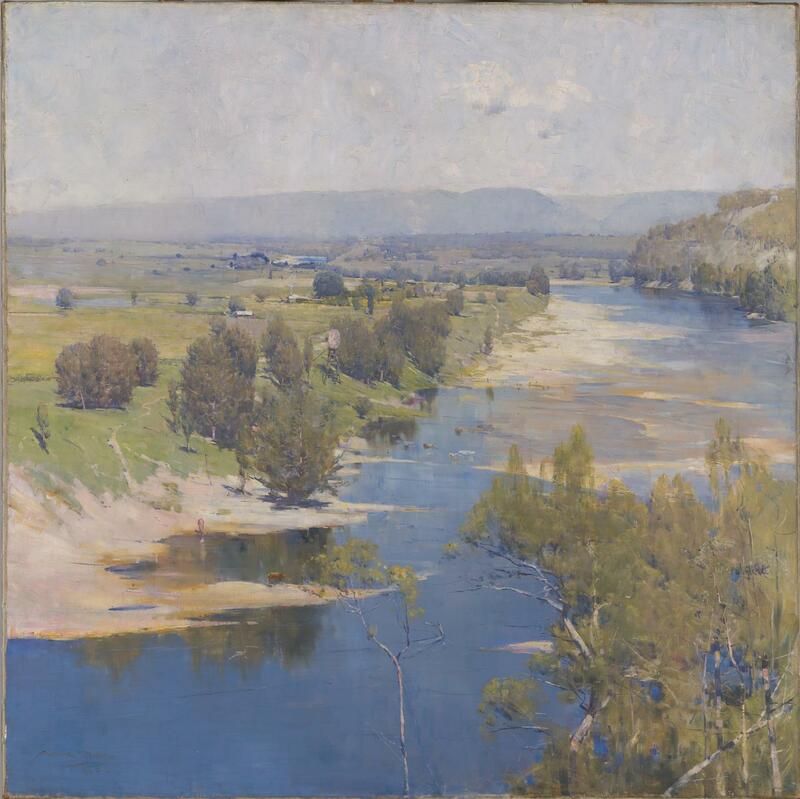 Accessed on April 15, 2015 from http://www.ngv.vic.gov.au/explore/collection/work/3060. Please read their Copyright Notice for full details before using images.